Dancing defined Pamela Morgan's early years in Boston, from performing with the Boston Pops on the Hatch Shell to touring with a flamenco group. As she moved to other pursuits, working with the Boston Women's Health Collective on "Our Bodies, Ourselves," the respected volume on women's health and sexuality, and then with children at First Unitarian Society in Newton, the energy and grace she brought to performances past seemed to inform each day. "One of the last times I saw her, we both agreed that she was at her core a dancer," said Sally Whelan of Newton, a friend who worked with Ms. Morgan at the health collective. "I think she took that spirit of the dance through everything that she did. 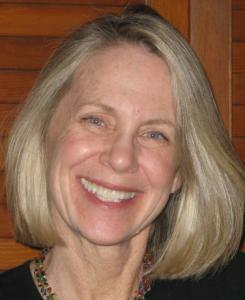 Diagnosed about a year ago with pancreatic cancer, Ms. Morgan died Nov. 17 in her Newton home. She was 59. "She just had a lot of interests," said her husband, Jonathan Lilienfeld of Newton, "and that was demonstrated by the breadth of her life." Beginning in the late 1970s, Ms. Morgan worked for a decade with the collective whose book on women's health has gone through multiple updated editions. Originally called the Boston Women's Health Collective, the nonprofit changed its name several years ago to Our Bodies Ourselves - minus the comma that appears in the book's title. "In Our Body Ourselves, she wore many hats," Whelan said. "Pamela was a writer and editor of the book, and she was also our administrative manager." Judy Norsigian, executive director of Our Bodies Ourselves, recalled Ms. Morgan as "one of these extraordinarily multitalented individuals, and as a dancer, everything she did was with élan and flair." One of Ms. Morgan's talents, Norsigian and Whelan said, was keeping things organized and helping the nonprofit grow beyond its early days. "Along with the founders, she was absolutely key in moving Our Bodies Ourselves from its days as a collective with a groundbreaking book to a nonprofit organization with more infrastructure that would then be able to carry the work into the future," Whelan said. "I think it often gets lost because everybody emphasizes the book - and rightfully so, because it was so groundbreaking. But Pamela helped it go forward." Said Norsigian: "She was a caring and attentive person and a great problem solver. We have a big name and a big footprint, but we've always had a tiny budget. Part of the reason for our success is because of people like Pamela." Ms. Morgan also helped the collective develop the women's health and learning center, a program at MCI-Framingham that helped educate inmates at the women's prison about nutrition, pregnancy, and other matters. But for thousands of women who called the collective from other states and other countries, Ms. Morgan was the voice on the phone directing them to information and health resources. "She was a terrific and easy communicator with women," Whelan said. "Pamela was really genuinely interested in people and their stories and their issues. She would get on the line with someone and it was like she was talking with a friend." Born in upstate New York, Ms. Morgan graduated from high school in Oneonta and from Cornell University, where she studied sociology and health. After college, her husband said, Boston didn't initially figure in her plans. "She came to Boston on sort of on a lark," he said. "I think she was going to the Cape for the summer, but she and a friend stopped in Boston and stayed." By the time she met Lilienfeld in 1982, she was working with the health collective and dancing professionally on occasion. They married in 1984, and a few years later she left the collective when their son Samuel was born. She stayed home to raise him and their younger son, Jacob. "She really devoted herself to raising her children," her husband said. "Family was really the most important thing to her," Whelan said. "She would talk with me sometimes after a particularly wonderful Sunday morning with her husband and her sons, and she would say, 'It just doesn't get any better than this.' "
Ms. Morgan also became involved with the coming of age program First Unitarian Society in Newton runs for eighth-grade students. "Pamela volunteered to co-lead this program," her husband said. "We had a gathering at the house after she died, and a lot of the kids showed up. They came to express their love and how much her warmth and actions had meant." At church, she connected with the eighth-graders, much as she had with women she spoke with while working for the collective. "Instead of engaging in conversation on the surface, she would hone in, partly because she was such an open person," her husband said. "She would share things about herself, which opened others up to her." In addition to her husband and sons, all of Newton, Ms. Morgan leaves her parents, John and Joan (Armstrong) Morgan of Vero Beach, Fla.
A memorial service will be held at 2 p.m. Dec. 20 in the First Unitarian Society of Newton.